A large carryover from the 2014 crop led to increased slaughterings in the first half of this year and, with another strong lamb crop, production is expected to be at its highest level for seven years. With supply up, the industry is hoping for favourable changes in retail sourcing and pricing, coupled with continued strategic promotional campaigns linked to product development to draw consumers to lamb over the coming months. If demand isn’t realised, prices may continue to be under pressure. The UK breeding flock is now at 14.8 million head. There were year-on-year increases in all regions, with the Scottish flock showing the biggest rise of five per cent, according to December 2014 data. Near-perfect seasonal conditions for the lambing season should mean that the 2015 lamb crop will be around 18.1 million head, over 500,000 (three per cent) more than in 2014. In the first quarter of 2015, lamb marketings were high, driven by the earlier Easter and the numbers carried over from 2014. Growth in the second quarter was somewhat slower than expected, with bigger increases forecast from the third quarter onwards. Low lamb prices and a relatively strong store lamb trade may mean some producers delay marketing lambs, so the biggest increase in year-on-year growth may take place in the final quarter of the year. The carryover of lambs into 2016 is forecast to increase again, meaning further growth early next year. Carcase weights were well above seasonal norms throughout the 2014-15 season and remain high as low prices encourage producers to add extra weight to their lambs, a pattern that’s expected to continue in the short term. 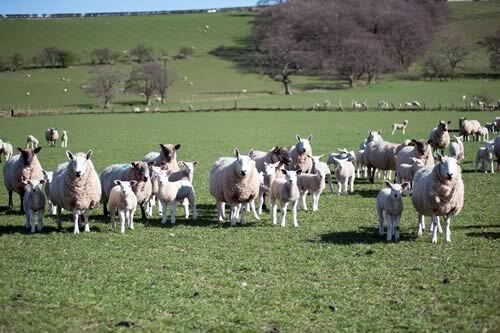 Adult sheep cullings have been low for over a year. However, numbers in the second quarter of 2015 were down just 11%, compared to 21% in the first quarter. A larger and older breeding flock combined with the current low price for lambs is expected to lead to a rise in ewe and ram cullings. With lamb and adult sheep slaughterings up, the total annual sheep meat production for 2015 is expected to be about 316,000 tonnes. Tentative forecasts for 2016 show a small increase in production, mainly due to the larger carryover of lambs. Problems trading with Hong Kong mean that export volumes for the year are expected to be lower than in 2014, even if shipments to the rest of the EU hold up. However, the weak Euro means that prices in Sterling terms will probably have to be lower in order to generate the required demand. Imports in 2015 are forecast to be lower this year, due in part to increased domestic production and relatively tight supply from New Zealand. But the UK’s strong pound continues to make it an attractive market for lamb entering the EU which is expected to be high due to a slackening of demand from big global markets such as China.